Jò Campana has been filling a number of roles for Italian rock band Negrita since 1998, among them lighting designer, lighting programmer and operator, set designer, and show concept designer. “I’m a one man band,” he says affably. Negrita has just played the six largest indoor venues in Italy on their "Dannato Vivere" arena tour beneath a Martin MAC rig that included the new MAC Aura, which provided a powerful surprise. For the "Dannato Vivere" tour, Campana uses 30 MAC Auras™, 24 MAC 700 Washes™, 24 MAC 700 Profiles™ and 22 Atomic 3000™ strobes, all supplied by rental house Mister X. 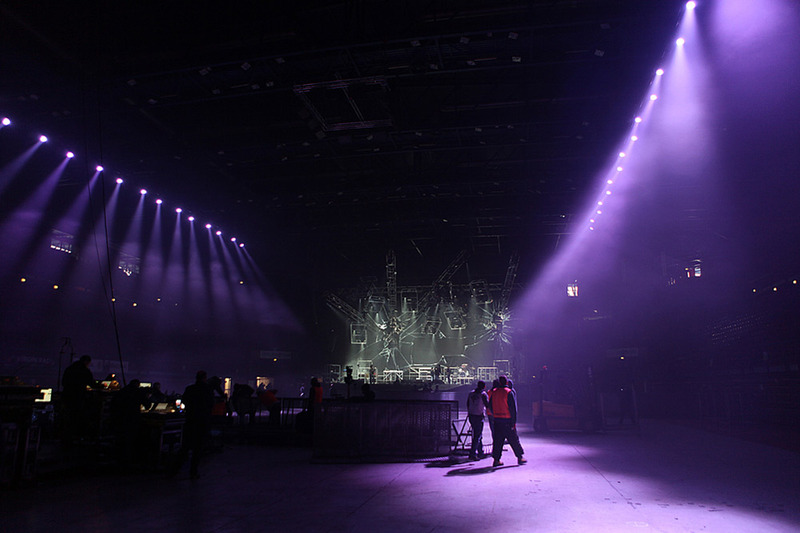 For Negrita’s Milan show, the band recorded a DVD and production asked Campana to reinforce the lighting with 40 extra Auras over the audience. “I cloned them to the 30 Auras I had on stage so I could involve the crowd with the same pathos and mood of the 'hot-scene.' The babies did their job,” he said. Campana also has praise for the Aura’s light weight, tiny dimension and incredible speed. “In addition, I was deeply impressed by the quality of the color, absolutely excellent on the primary and having the chance to create a ‘real pure white’ is a huge step ahead. Campana now turns to Italian rock band Litfiba’s upcoming tour where he’ll also be using MAC Auras, as well as MAC 2000 Wash XBs, MAC III Profiles and Atomic 3000 strobes.